This week in “The Patient’s Perspective”, we’re looking at the gastric bypass journey. Learn what it’s like to decide on, and undergo, this permanent procedure, as well as what it’s like to live with afterward. Figuring out how to pay for your Gastric Bypass surgery, as well as any other bariatric procedure can be stressful. While not all insurances will cover it, Olde Delmar Surgical partners with third-party companies to provide a number of financing options should you need them. Worrying if you’ll like “the new you” and whether you’ll need cosmetic procedures to remove excess skin after weight loss is scary. We offer multiple support groups and patient resources so that you can choose what type of support you need and when. And remember, choosing weight-loss surgery isn’t just about losing weight; it’s dedicating yourself to a happier, healthier lifestyle. With Gastric Bypass surgery, your ability to eat and absorb nutrients from food is highly restricted, meaning you may need to add supplements to your daily diet. It is important to note that this restrictive, malabsorptive weight-loss procedure is very hard to reverse. Though no device will be permanently inserted into your body, the Gastric Bypass procedure detaches a large portion of your existing stomach and reroutes your digestive system to bypass most of the upper intestine. The remaining stomach pouch (often described as the shape and size of a golf ball) is securely shut with staples and other dissolvable closures while the larger portion of your stomach is reattached to the upper digestive system for drainage. This reduced capacity means you’ll eat much less immediately and absorb very few calories, supporting your weight-loss efforts. Most Gastric Bypass procedures are performed laparoscopically but some cases may require a laparotomy (a large, deep cut down the center of the stomach). Before scheduling your procedure on your gastric bypass journey, you’re required to take a number of pre-op tests to ensure your body is healthy enough to undergo and recover from bariatric surgery. These include blood pressure and sugar tests, an electrocardiogram (EKG), a cardiac stress test, and a check for the presence of ulcer-causing bacteria. Ten days before your procedure, you will begin a liquids-only “Liver Shrinking Diet” to provide your surgeon easier access to your stomach, which sits in the center of your abdominal core. 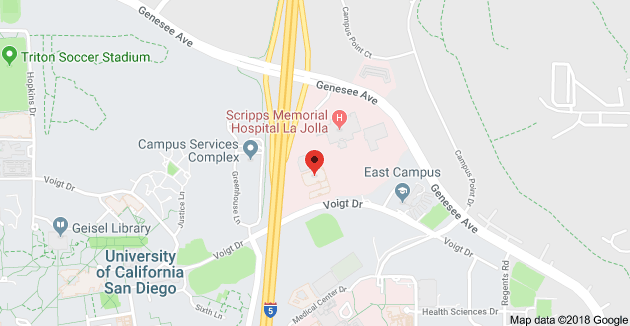 All Gastric Bypass procedures performed at Olde Del Mar Surgical are laparoscopic — meaning five to six small incisions will be made strategically around your abdomen. Doctors Bhoyrul and Farinholt then insert a laparoscope (thin viewing tube with a small camera attached) and other tiny instruments into these small incisions to detach and secure parts of the stomach and digestive tract. A typical laparoscopic Roux-en-Y gastric bypass with no complications takes about 90 minutes. You’re under general anesthesia for the entire process. During your hospital stay, your bariatric team will monitor pain medications and make you as comfortable as possible. They’ll also insist that you get out of bed for short walks to ease stiffness and soreness, as well as prevent any post-op complications from too much bed rest. While recovering at home, you’ll stick to liquids for two weeks. A pureed food regimen is required for the next two weeks, followed by soft foods for another two weeks. By week six you’re ready for regular foods, having adjusted your portions and choices for your new stomach capacity. Nearly all Gastric Bypass patients return to pre-surgery levels of activity within six weeks and some return to work as soon as one week after. After your recovery period, you’ll find that you’re losing weight — likely faster than ever before. This is exciting and motivating, and it can also bring new challenges. Making a major life change, like bariatric surgery, requires tons of support emotionally and in daily decision-making. Because your new stomach can only hold about one cup of food at once, you must choose your foods and portions carefully, making sure to give nutrient-dense items priority. Your new stomach is also susceptible to stretching, and often patients are asked to eliminate all carbonated beverages after surgery to prevent this. The malabsorptive effect of the surgery also means you will likely need to begin a supplement regimen to ensure your body is getting the nutrients it needs to function properly, but don’t take anything over-the-counter until your doctor has approved. You’ll also need to drink at least 64 ounces of water every single day, remembering to only sip a mouthful at a time to prevent stretching. Because weight loss creates large quantities of waste products for your body to eliminate, the substances can frequently crystalize into kidney stones. Drinking lots of water helps your body flush out the fat and encourages weight loss results. You know your body and you know you’re ready for a change. To schedule your gastric bypass journey consultation, call (858) 457–4917. 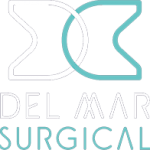 If you’re still considering your options or wondering what questions to ask your doctor, register for the FREE online bariatric seminar provided by the team at Olde Del Mar Surgical.